Two ACF cadets are off to South Africa after being named as finalists for the CVQO Westminster Award. After a tough few days in Somerset where candidates undertook a range of challenging activities, just 11 were selected to go through to the final including Jack Larder from Ixworth detachment, Suffolk ACF, and Jasmine Roper from Scarborough detachment, Yorkshire North and West ACF. 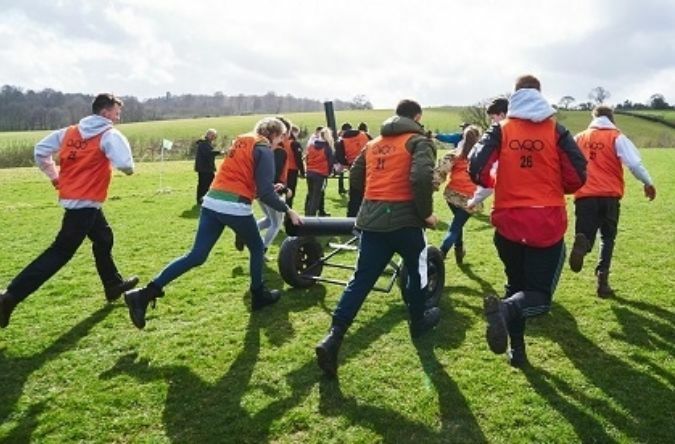 The selection event involved a variety of physical and mental challenges ranging from outdoor activities, group tasks, problem solving and undertaking the ILM Level 3 qualification in Leadership Management. Candidates were also interviewed by CVQO Chief Executive Guy Horridge and Outposts Managing Director Michael Kingstone. The hard working finalists will visit the House of Lords in June for lunch and to find out the overall winner, who will be awarded the CVQO Westminster Award 2018 trophy. The winner and the other 10 finalists will fly to South Africa for two-weeks of adventure in July.